ALL NEW DBU Web - Unlock the power of DBU with access from any device through your favorite web browser. Don't wait until you have an emergency to get RDR! Dumpster Diving...But Easier and Cleaner! RDR retrieves those records you deleted in error. RDR is so easy to use and offers the retrieval of ALL deleted records from a file or only records within a RRN (relative record number) range. Retrieved records will be placed in a second file, which can be designated on the RDR command. Relative record numbers can be attached to each record for further analysis. Building logicals over the retrieved deleted records can also help in locating the correct deleted records. The physical RRN is shown on the display of the logical file records. No matter what records need to be retrieved from deletion - RDR is the utility that allows you to handle it quickly and easily. 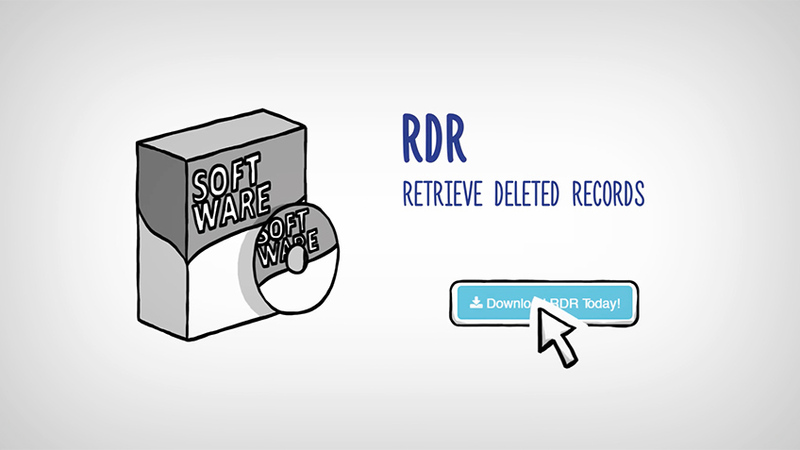 NOTE: The trial version of RDR will only retrieve the first 25 deleted records in your file. "You at ProData are lifesavers. You have done it again! RDR and DBU should be mandatory on the System i!"